Comedian and actor Kevin Hart now says he won't host the Oscars as a result of blowback from tweets he wrote between 2009 and 2011. He said he made the decision to step down as host in response to a request from the Academy for him to do so, adding he didn't want to be a "distraction on a night that should be celebrated by so many amazing talented artists." After being announced as the host on Tuesday, Hart came under fire for past tweets in which he used homophobic terminology and slurs. "I have made the choice to step down from hosting this year's Oscar's….this is because I do not want to be a distraction on a night that should be celebrated by so many amazing talented artists. I sincerely apologize to the LGBTQ community for my insensitive words from my past," Hart tweeted Thursday night, just after midnight eastern standard time. "I'm sorry that I hurt people.. I am evolving and want to continue to do so. My goal is to bring people together not tear us apart. Much love & appreciation to the Academy. I hope we can meet again," he added in a second tweet. Hart had previously condemned those who dug through his tweets to find some where he had referred to an actor as looking like "a gay billboard for AIDS" and saying he wouldn't let his son play with dolls because "that's gay." "Guys, I'm almost 40 years old," Hart said in an Instagram video on Thursday. "If you don't believe that people change, grow, evolve as they get older, I don't know what to tell you." At least some of the tweets steamed from a bit he used in a 2010 comedy special, Yahoo Entertainment reported. In Hart’s 2010 comedy special Seriously Funny, he did a bit that had him saying that his "biggest fear" was his son "growing up and being gay." He said, "Keep in mind, I’m not homophobic. I have nothing against gay people. Be happy. Do what you want to do. But me, as a heterosexual male, if I can prevent my son from being gay, I will." He then launched into stories about his son, then 3, having his first gay moment with a friend and how he needed to "nip it in the bud" by screaming at him, "Stop, that’s gay!" Hart has since spoken about the joke, telling Rolling Stone in 2015 that it was really about his "own insecurities" as a parent, again reiterating he’s not homophobic and saying he "wouldn’t tell that joke today, because when I said it, the times weren’t as sensitive as they are now." "Stop looking for reasons to be negative," Hart said in the Instagram post. "Stop searching for reasons to be angry…If u want to search my history or past and anger yourselves with what u find this is fine with me. I am almost 40 years old and I'm in love with the man that I am becoming. You LIVE and YOU LEARN & YOU GROW & YOU MATURE." According to Hart, the Academy, which hosts the Oscars, asked him to apologize or they would find a replacement. 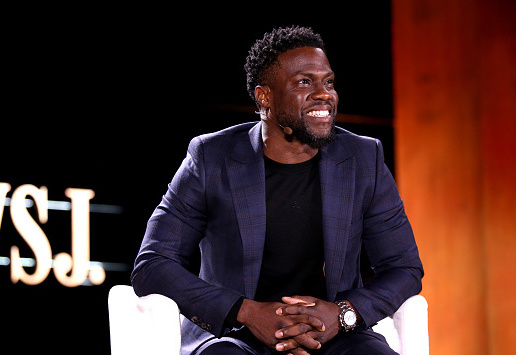 "So, I just got a call from the Academy and that call basically said, ‘Kevin apologize for your tweets… or we’re going to have to move on and find another host,'" Hart recounted. The Academy has not yet announced a replacement host. This entry was posted in Culture and tagged Hollywood, Oscars. Bookmark the permalink.